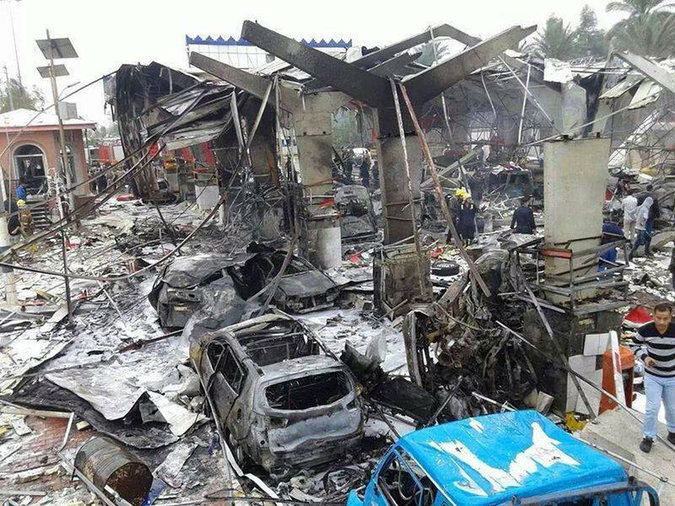 A security checkpoint near Hilla, Iraq was attacked during rush hour on Sunday, March 9th by a suicide bomber driving an explosives-laden mini-bus. The blast also ignited over 30 cars with many drivers and passengers trapped inside their vehicles. Security officers, civilians, women, and children were among the casualties claimed by the attack. With frequent attacks have been occurring against security forces and in areas where crowds gather, this attack was a combination of the two. North of Hilla, a separate gun attack at a police checkpoint killed two and left two wounded. Other attacks in the area have killed at least four others and wounded around 40 individuals. At least 40 people have died as a result of sectarian violence between Shiite Muslim rebels and Sunni tribesmen in and around Sana, Yemen. Clashes over the past few days have occurred in the Al Jawf Province (90 miles NE of Sana) and Hamdan (10 NW Sana). In addition, a 3-story Sunni religious center was destroyed on Sunday the 9th. At least six gunmen entered a district court complex in Islamabad’s legal district on Monday and launched a gun and suicide bomb attack killing 11 and wounding 25. The attack started around 9:00 am with gunfire and was followed by twin suicide blasts. Attackers were seen firing at random into the complex and launching grenades before escaping into the city. 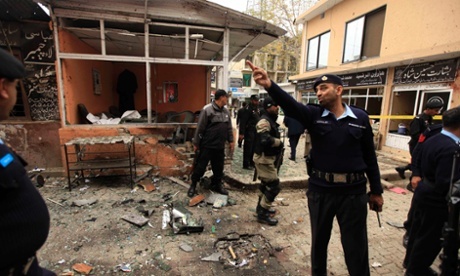 The two suicide attacks targeted specific offices within the complex. This attack was the largest in five years and came just after the government and the biggest militant coalition had announced a ceasefire.